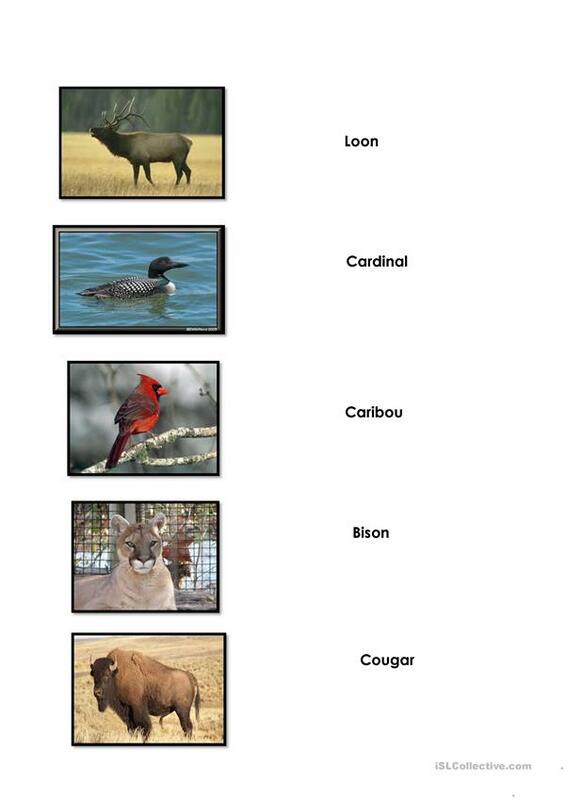 The learners will identify the names of the Canadian animals & birds, and complete a matching exercise. This printable, downloadable handout is intended for kindergartners and nursery school students and adults at Beginner (pre-A1) and Elementary (A1) level. It is a valuable material for working on your pupils' Spelling, Reading and Writing skills. 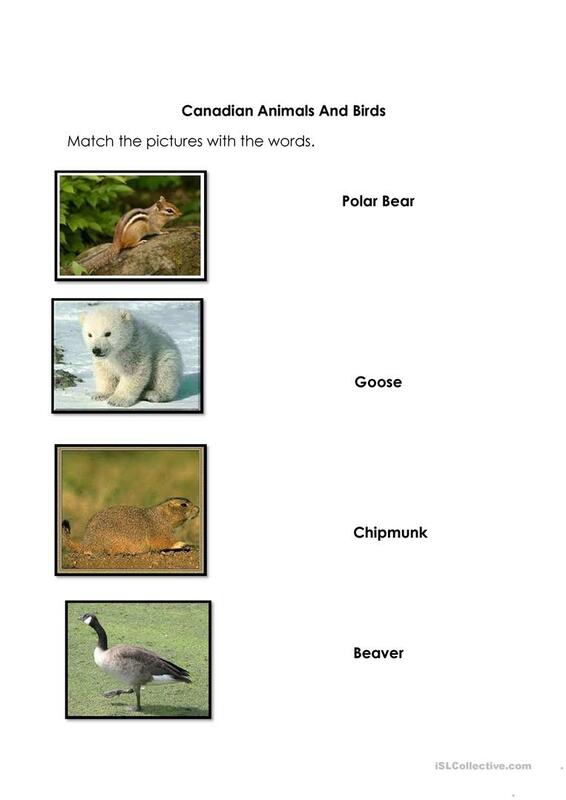 It centers around the topic and words of Animals. Fauzia is from/lives in Canada and has been a member of iSLCollective since 2012-05-10 00:06:46. Fauzia last logged in on 2019-04-22 15:32:29, and has shared 61 resources on iSLCollective so far.